The BT6120 Alpha* scoreboard is the leading multi-sport scoreboard. The display of penalty countdowns is a bonus. 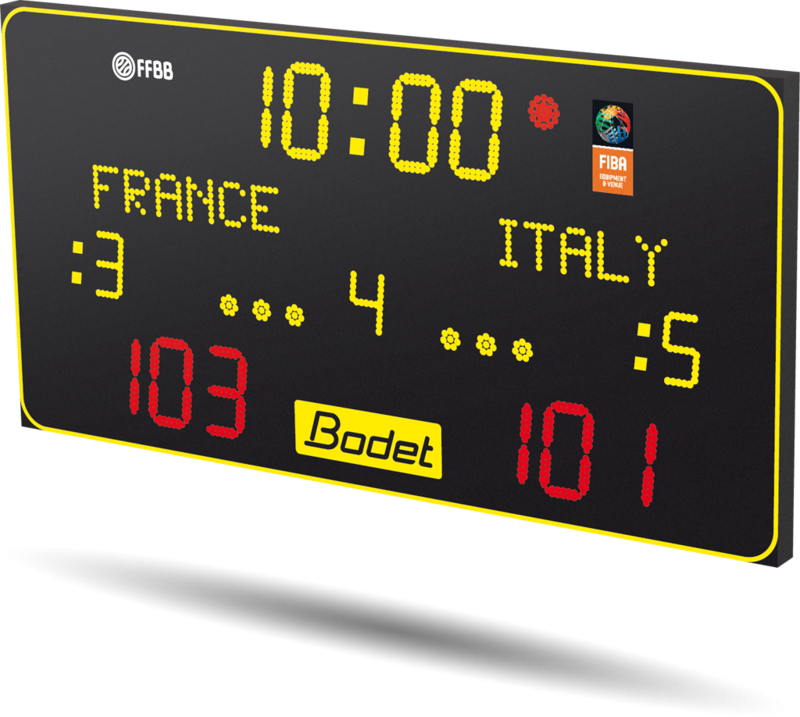 This scoreboard is designed for sports halls hosting school, county and regional competitions.